Oscars Photos, News, and Videos | Just Jared Jr.
Oscars 2019: Which Film Won Best Animated Feature? Find Out Here! The 2019 Academy Awards just named their Best Animated Feature winner and we are so excited about it! 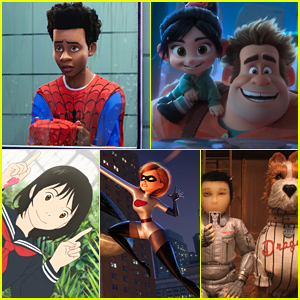 Wreck-It Ralph 2: Ralph Breaks the Internet, Incredibles 2, Isle of Dogs, Mirai and Spider-Man: Into the Spider-Verse were all up for the honor. So which film took home the top prize? Joe Alwyn looks oh so handsome in his suit while arriving for the 2019 Academy Awards held at the Dolby Theatre on Sunday (February 24) in Los Angeles. 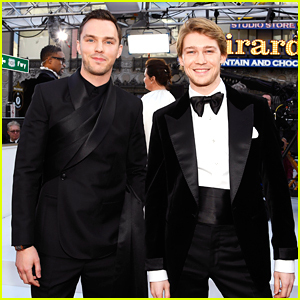 The 28-year-old actor joined co-star Nicholas Hoult on the red carpet for his first Oscars ever. Both Joe and Nicholas star in The Favourite, which is just one of the many nominees for Best Picture. There will be no host this year at the Oscars, marking the first time since 1989 that the show will be host-less. Make sure to tune in on ABC at 8pm EST/5pm PST. FYI: Joe looked sharp in Tom Ford suit. Nicholas wore a Dior suit. Elsie Fisher and Amandla Stenberg looked so chic on the 2019 Academy Awards red carpet! The two actresses stepped out at the event for the first time on Sunday evening (February 24) at the Dolby Theatre in Los Angeles. Both Elsie and Amandla are set to present awards during the show. FYI: Elsie is wearing a full Thom Browne look, Sarah Wilde Jane jewelry and Beladora cufflinks. Amandla is wearing a Miu Miu gown, Brian Atwood shoes, and Forevermark jewelry. Laura Marano made a huge statement for her first ever Academy Awards! The 23-year-old singer and actress wowed in a pink yellow and pink gown with a giant bow on the back while arriving at the Dolby Theatre on Sunday (February 24) in Los Angeles. If you don’t know, Laura will be co-hosting the Red Carpet Live stream on Twitter! FYI: Laura is wearing a Celia Kritharioti dress with, Loriblu clutch and shoes, and Hearts on Fire and Neil Lane jewelry to accessorize her look. Oscars 2019: What Films Are Nominated For Best Animated Feature? The 2019 Academy Awards are TONIGHT and we are so excited about the Best Animated Feature category! We love, love, love animated movies and a handful of our favorites are up for the golden trophy. In previous years, a ton of Disney flicks have taken home the top prize – like Zootopia, Frozen, Big Hero 6, and more – but will they win again tonight? There’s a front runner this year that isn’t Disney at all! Last year’s winner was Disney’s Coco. 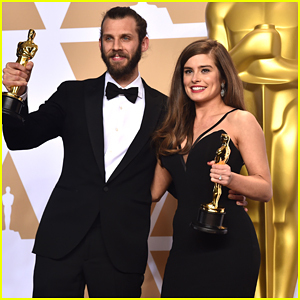 'Switched At Birth' Star Rachel Shenton Just Won an Oscar! Rachel Shenton might not look familiar to everyone, but for everyone who was part of the Switched at Birth family, you know her well. The 30-year-old actress played Lily on the hit Freeform series, which ended in 2017. Lily was Toby’s (Lucas Grabeel) wife in the final season. Rachel and Chris Overton won the Oscar for Best Live Action Short Film for The Silent Child, which was based on her own experiences as the child of a parent who became deaf. “It’s a really surreal moment. We felt really calm beforehand…‘Two categories before ours we felt, ‘Oh God, this is really happening. This is awful.’ And then, as the names are called out, we heard The Silent Child and thought, ‘Oh my God that’s actually us, it’s not nominations, we’ve won.’ It’s so surreal,” Rachel shared after the award show. Rachel actually delivered her acceptance speech in sign language, and apologized for it being a bit shaky.